For persons with disabilities, the Independent Living Movement represents a vision of consumer control and choice within the community. Rather than focusing on limitations and dependency on professional interventions, the emphasis is on quality of life and involvement in the community. Independent Living Centres tend to incorporate the following principles: consumer control; cross-disability; community-based; promoting integration and full participation; and non-profit. CILT serves persons with all types of disabilities and stresses empowerment and consumer-driven activities based on the self-help model. Examples of services developed through CILT include initiatives in literacy and disability, Participatory Research, the Direct Funding Program and special employment initiatives (The Disability Network TV production and training program on CBC). For more information, please visit the Direct Funding page. Toronto, CILT’s target area, hosts hundreds of organizations serving people with disabilities. However, limitations of disability-or program-specific organizations were frustrating for consumers and professional alike. In an attempt to solve this issue, representatives of different organizations formed a steering committee in 1982. The committee’s initial goal was to establish an information centre to assist people through the maze of human services. The Centre for Independent Living in Toronto officially opened its office in October 1984 and began by conducting a consumer needs survey. In 1985, CILT was registered as a non-profit corporation, and it became a registered charitable organization in 1986. CILT is a member of the Independent Living Canada. For more information, please visit IL Canada’s website. CILT is operated by a community board of volunteers whose membership must, based on the by-laws, be comprised of a majority of persons with disabilities. Also, the Executive must be comprised totally of persons with disabilities. All key staff positions are held by persons with disabilities. Benefits to the consumer community are enhanced by this approach. Consumers now have more representation on coalitions, in community consultations, on committees and in the policy rooms of the country, because they have employed staff to be there. Through organizations such as CILT, persons with disabilities have a say in the services they are dependent on, and improved access to the jobs and the respect that every Canadian is entitled to. 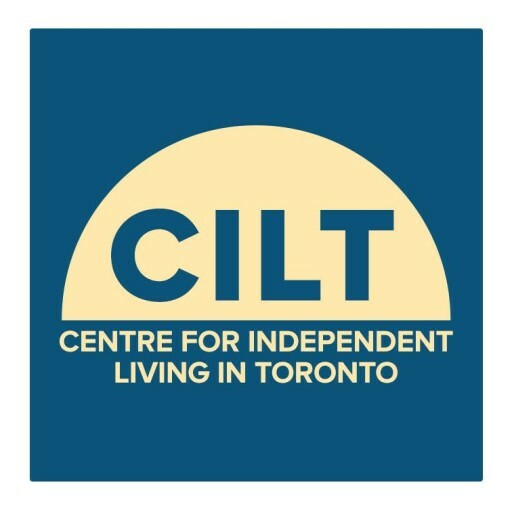 By empowering persons with disabilities, and by teaching people how to advocate for themselves, CILT has built a solid reputation as a responsive, innovative organization in Metropolitan Toronto.